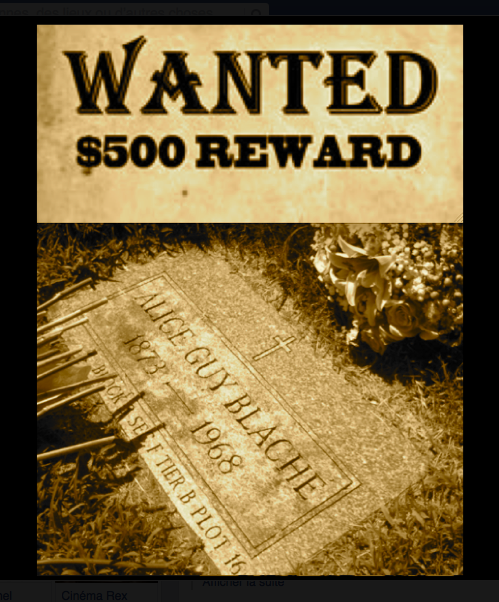 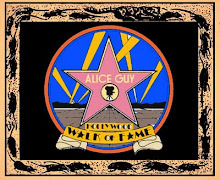 A Tribute to No more Mr. nice Guy d'Alice Cooper ?? 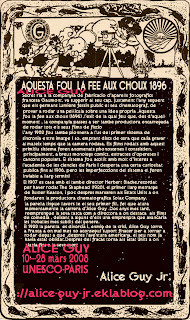 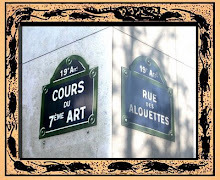 TO Becker-Ho Alice / Guy Debord chez Lebovici en 1987 ?? 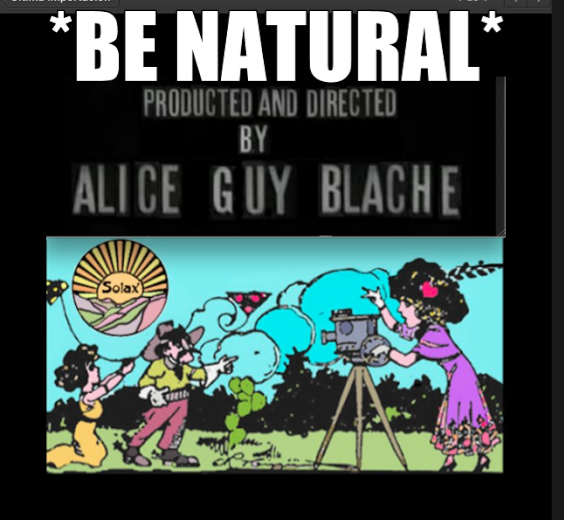 NO Guy !! 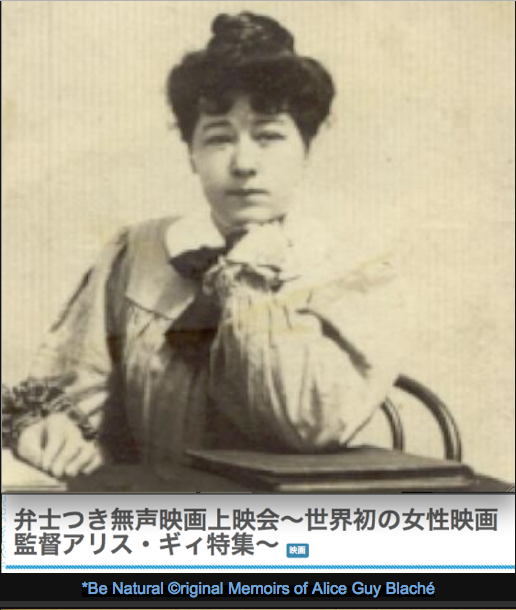 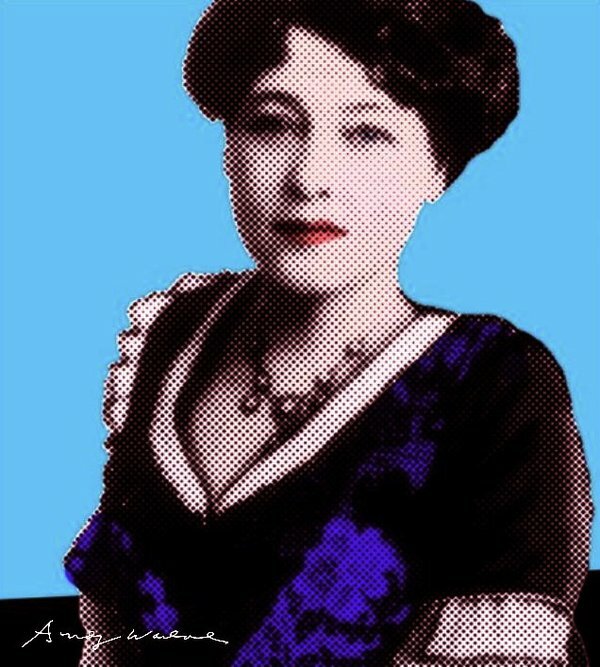 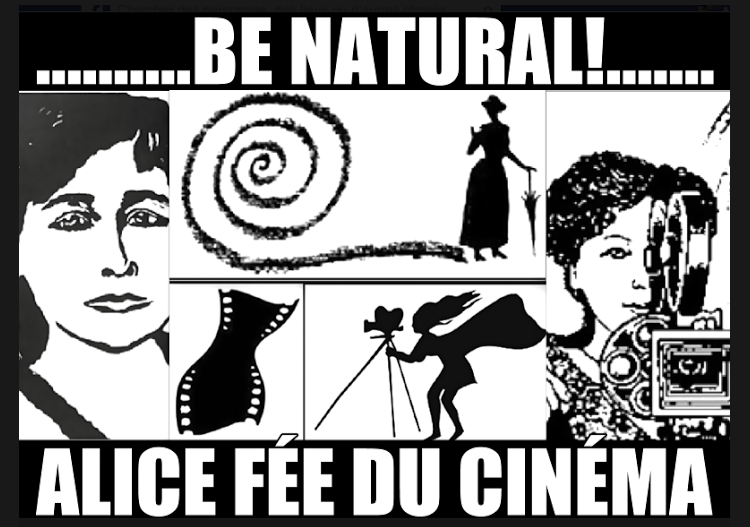 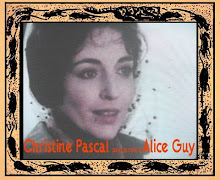 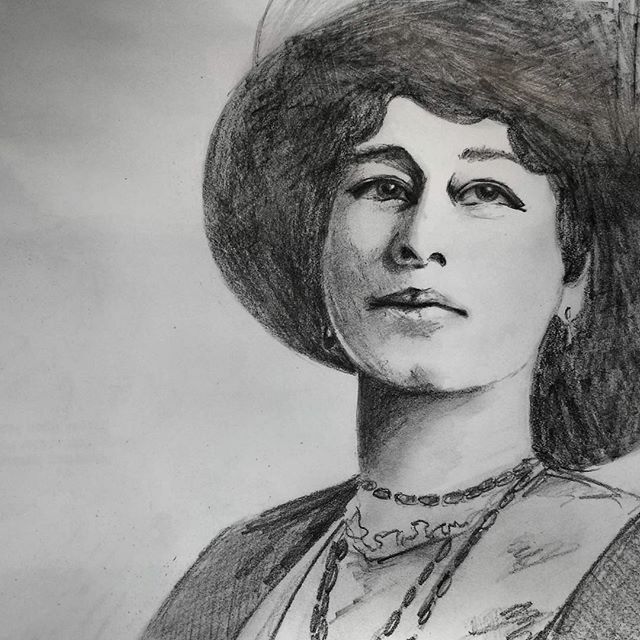 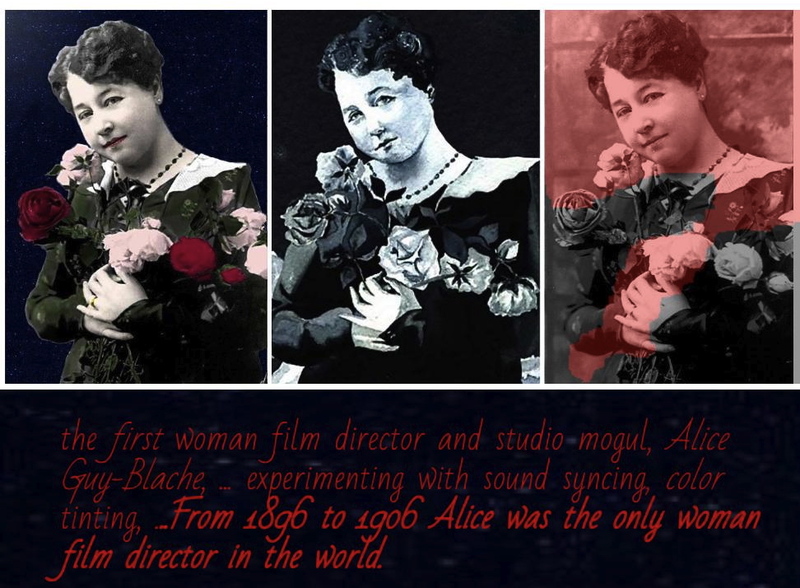 Just A tribute to ALICE GUY !! 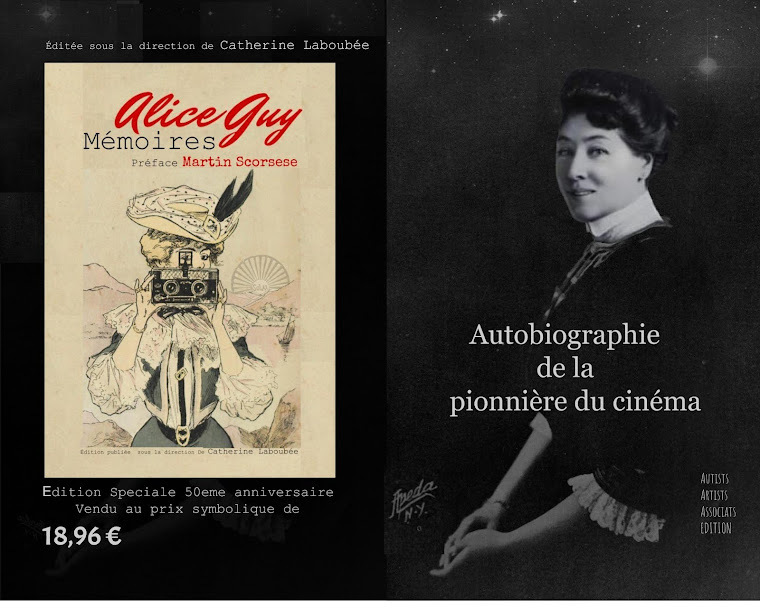 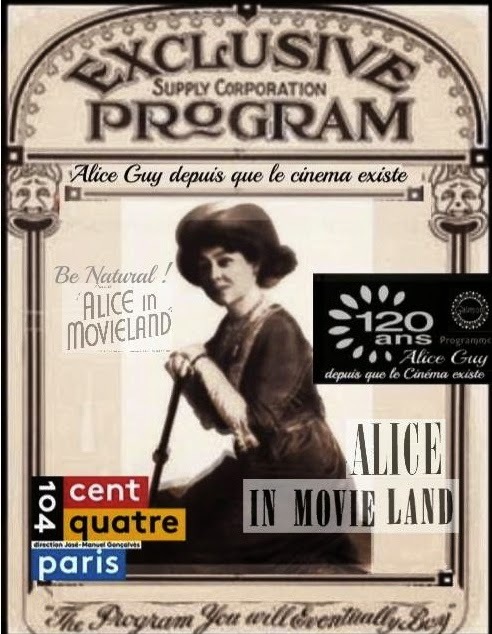 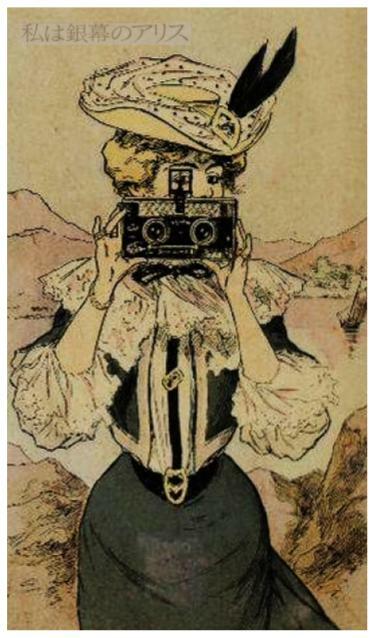 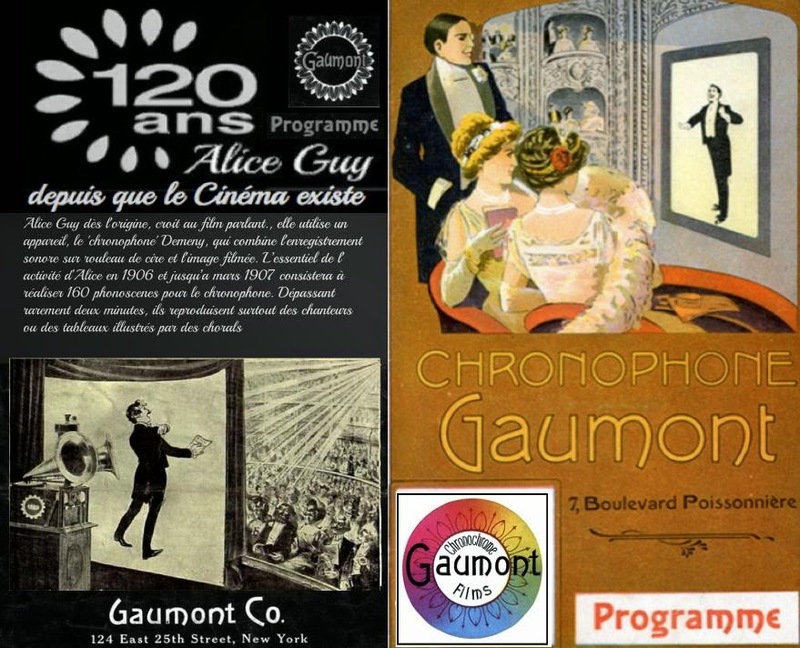 Alice guy "La dame aux cameras" Alice Guy, "La femme-cinema"Alice Guy "Au pays du cinema"
d'Alice Guy l'association "Les amis d'Alice Guy"
organise l'exposition "Alice Guy au pays du cinema"
allier le son et l'image a toujours été la préoccupation d'Alice Guy, elle va s'y consacrer entre 1902 et 1907 elle enregistre environ 160 phonoscenes, des bandes de trois a six minutes .Tout le répertoire classique et de variétés y passe; extrait d'opéra et d'opérettes, ballets , danses, chansons á succés , numéros comiques et de music-hall. 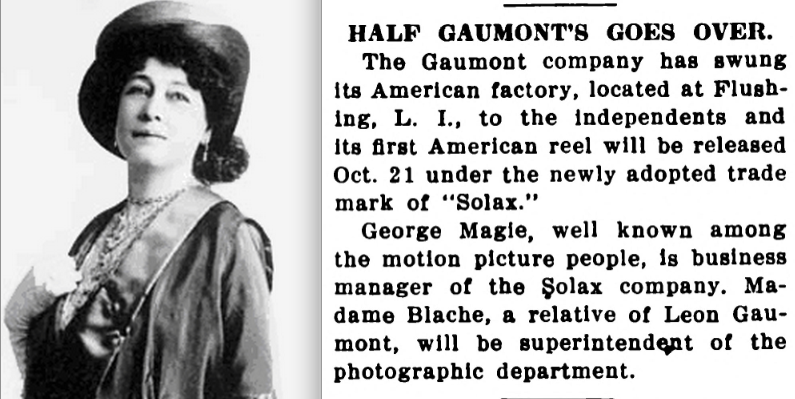 Solax Studios was an American motion picture studio founded in 1910 by executives from the Gaumont Film Company of France. 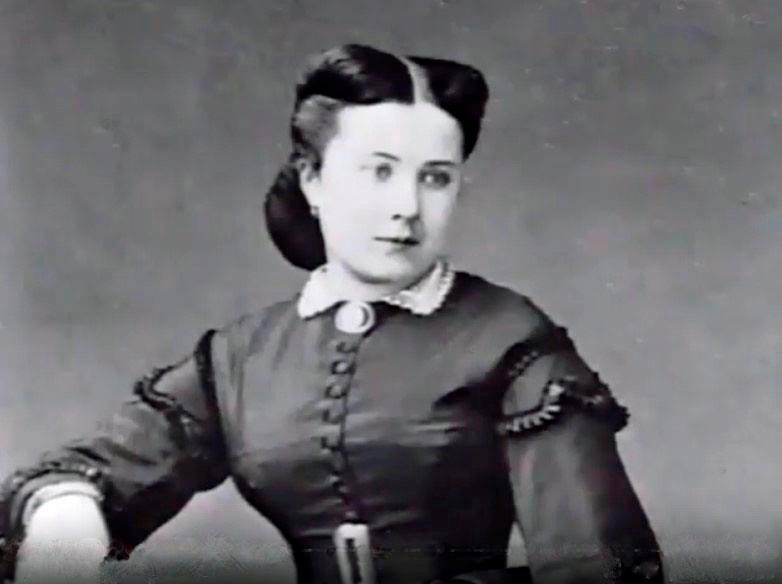 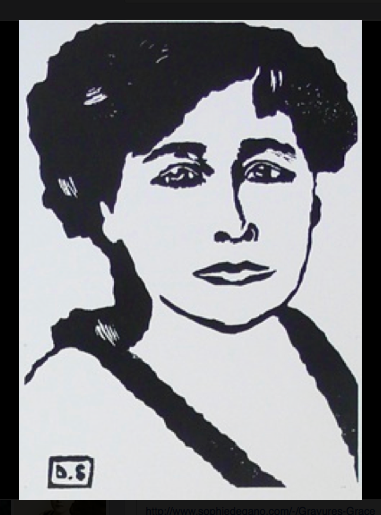 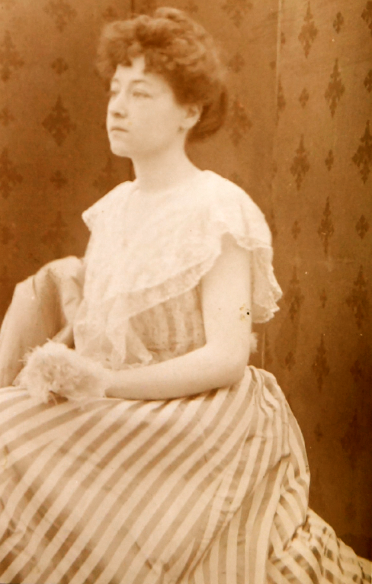 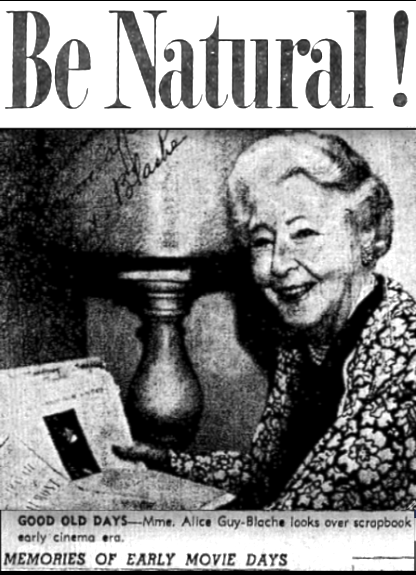 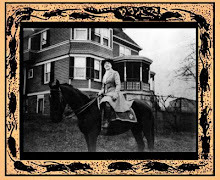 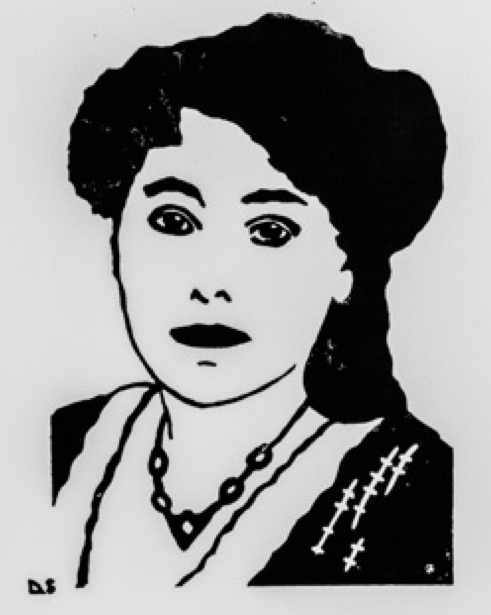 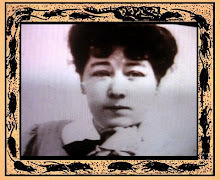 Alice Guy-Blaché, her husband Herbert, and a third partner, George A. Magie established The Solax Company. 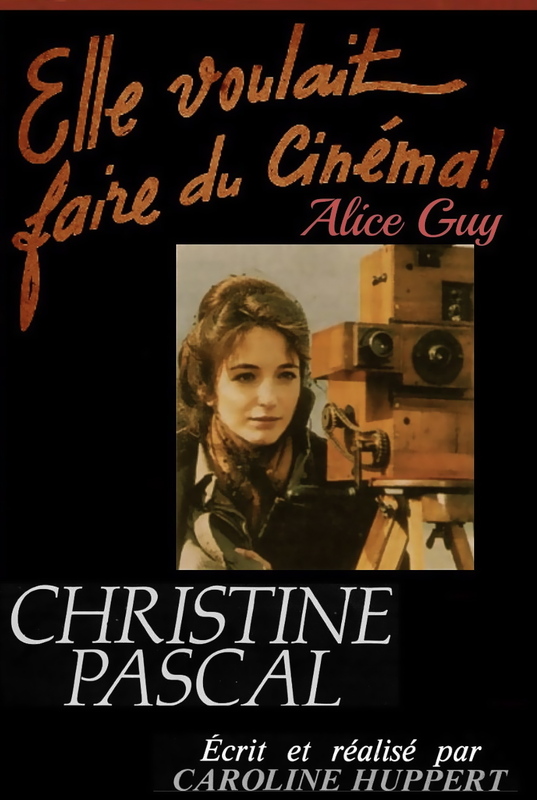 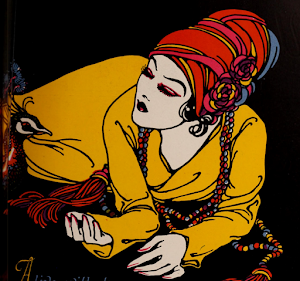 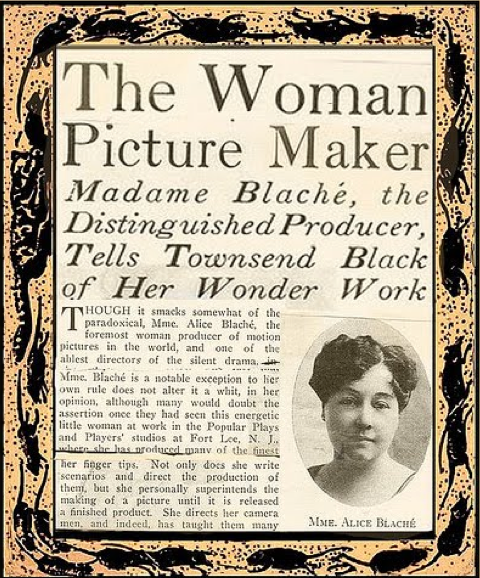 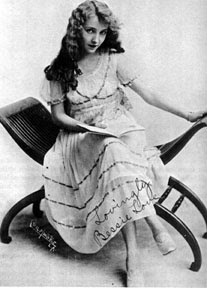 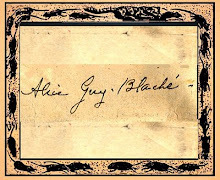 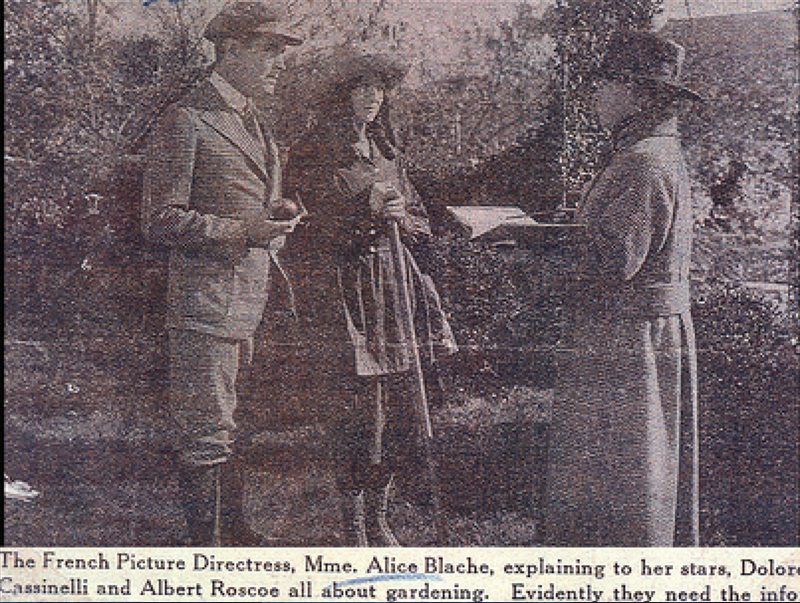 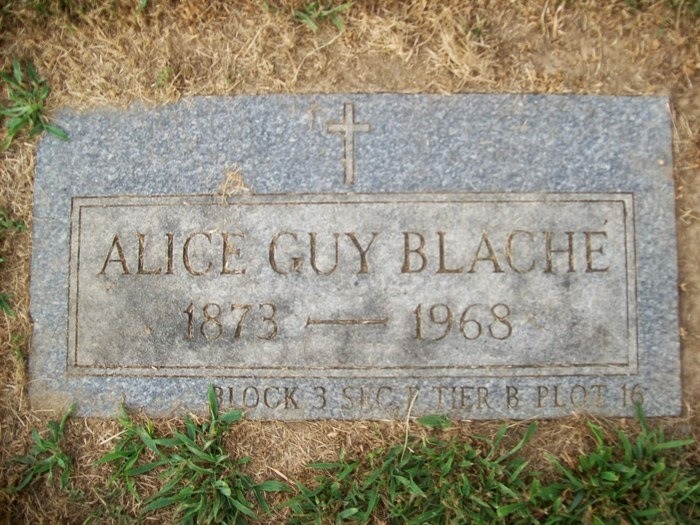 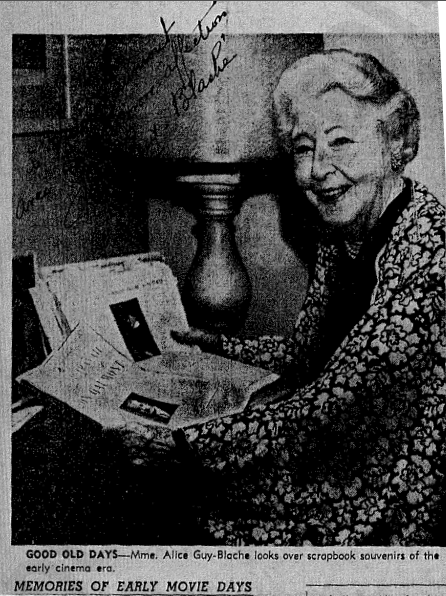 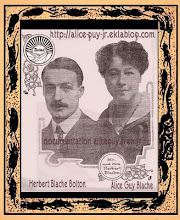 Alice Guy-Blaché was artistic director and the director for many of its films, while her husband Herbert Blaché managed production for the new company. 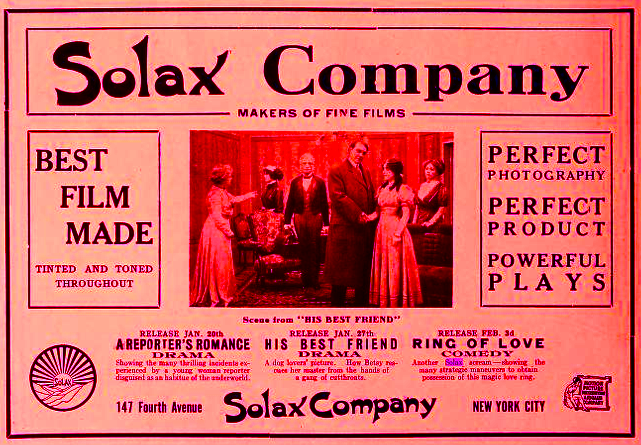 They built the first studio in Flushing, New York but, as Solax prospered they invested more than $100,000 in a modern production plant in 1912 in Fort Lee, New Jersey, a place that was quickly becoming the film capital of America and home to many major film studios. 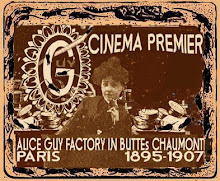 This was a time when the American film industry was rapidly changing from little more than a scientific curiosity to an important sector of the economic engine driving the economy. 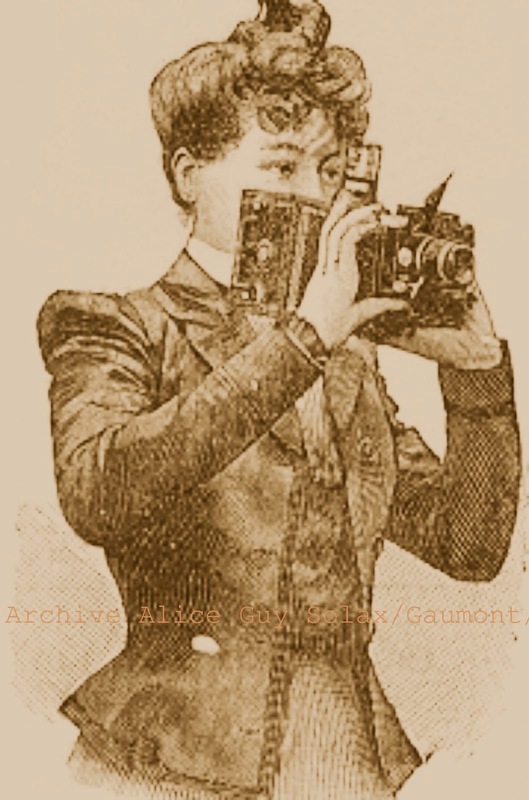 In this environment, Solax studios was conceived as an all-in-one operation with its own film processing laboratory and state of the art stages built under a glass roof. 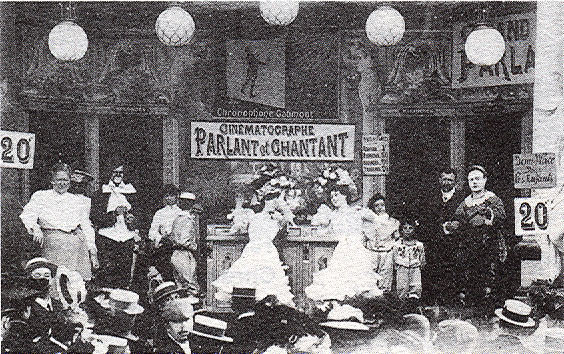 In addition to the administrative offices, the production facilities included dressing rooms, a set fabrication workshop, and a costume design department with sewing room. 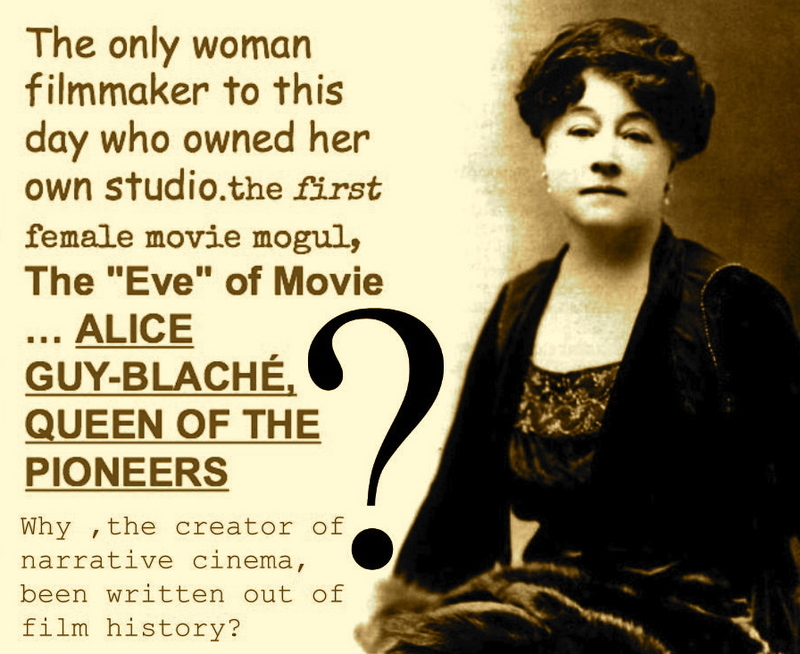 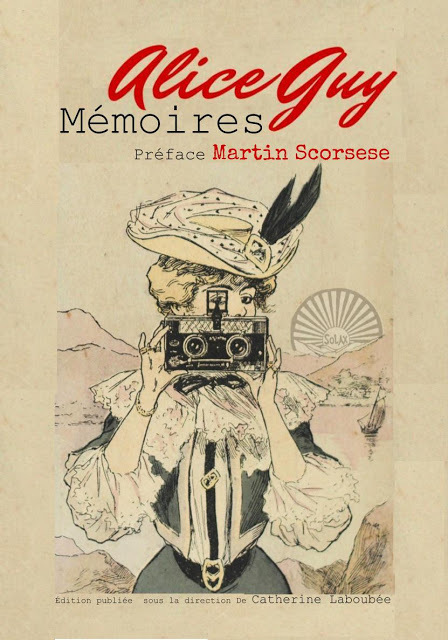 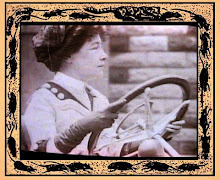 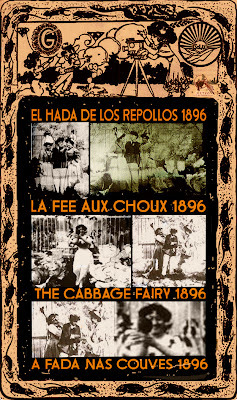 In 1912, Solax Studios made a short film titled A Fool And His Money that was directed by Alice Guy-Blaché. 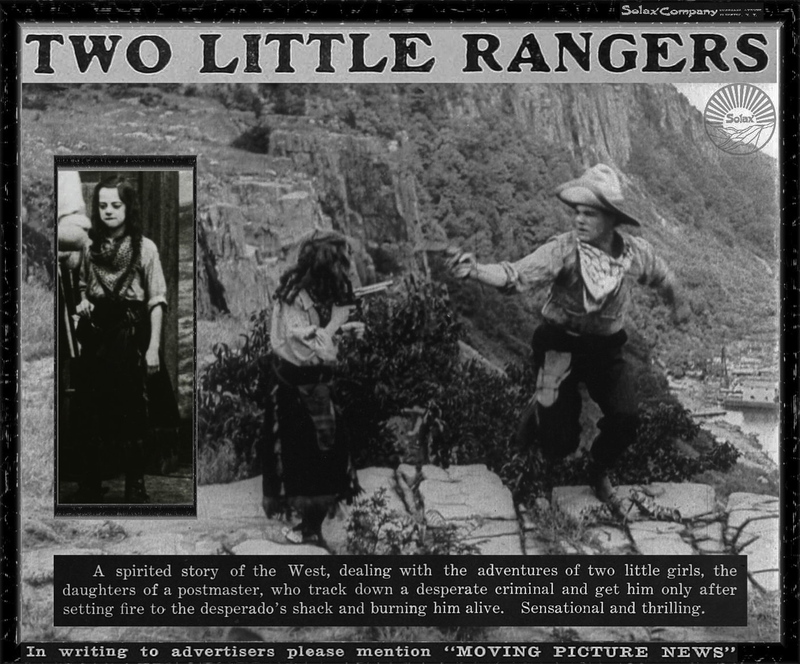 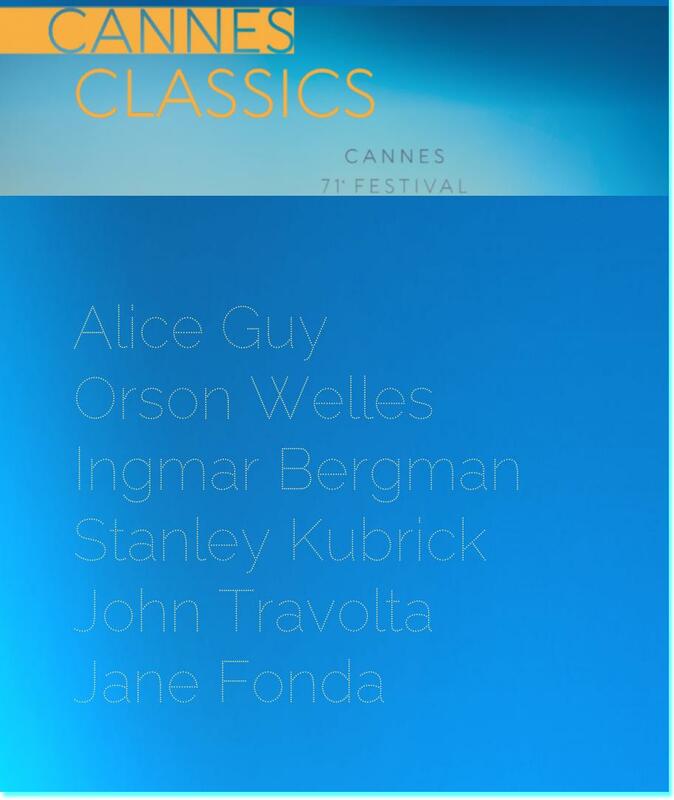 It is believed to be the first film ever made with a cast comprising only African-American actors. 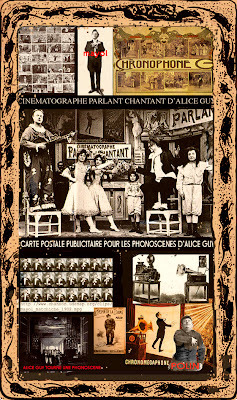 The film is now at the National Center for Film and Video Preservation at the American Film Institute. 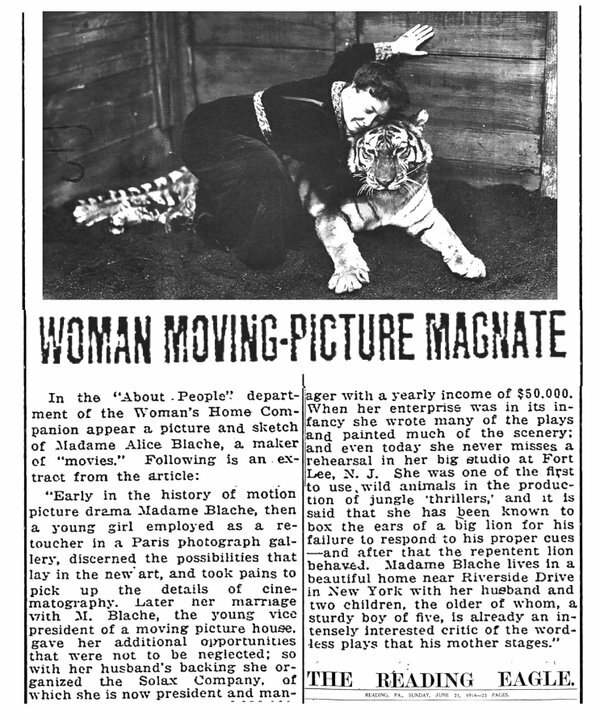 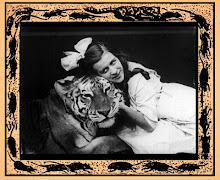 The new Metro Pictures, (now MGM), began its business life in 1916 primarily as a distributor of successful Solax films. 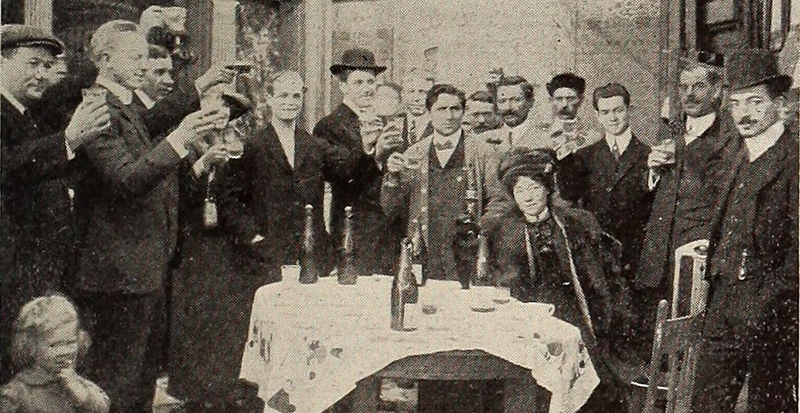 Several emerging stars appeared in Solax films including John and Ethel Barrymore, Claire Whitney, Olga Petrova, and Billy Quirk. 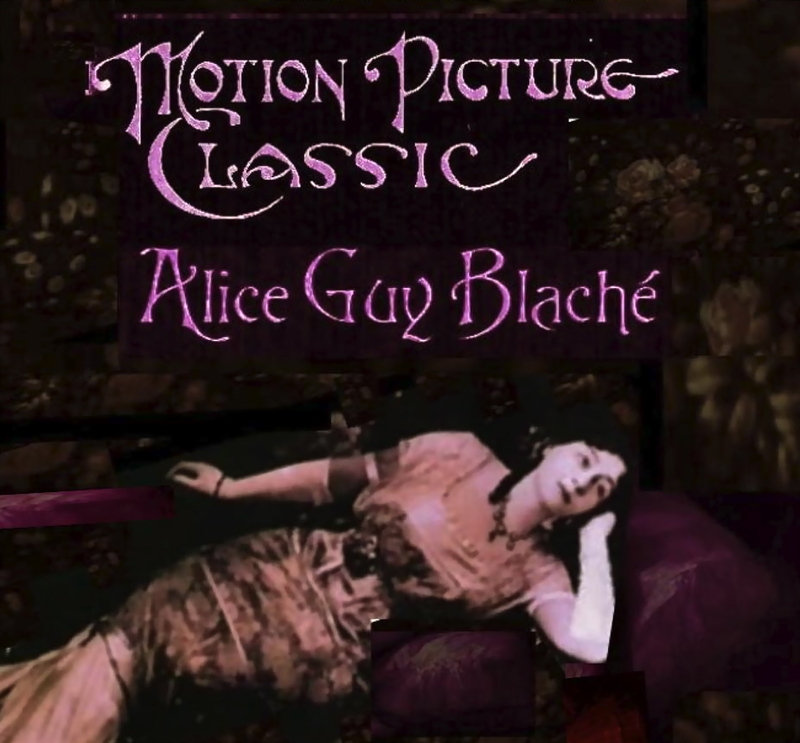 In between their own productions, the Blachés leased the studios to other production companies such as Goldwyn Picture Corporation and Selznick Picture Corp. 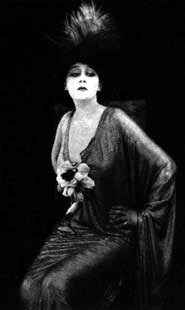 However, Solax and the rest of the East Coast film industry rapidly declined throughout the 1920s as a result of the phenomenal growth of motion picture facilities in Hollywood, California that offered lower costs and a climate that accommodated year-round filming.